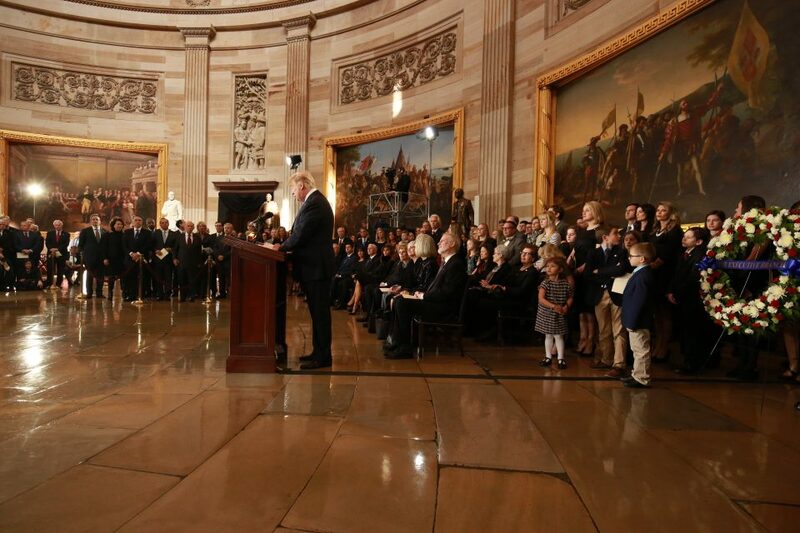 Wednesday, Billy Graham became the 34th overall, and only the fourth private citizen to lie in honor in the Capitol Rotunda. He joined a legendary list that includes Abraham Lincoln, John F. Kennedy and Rosa Parks. 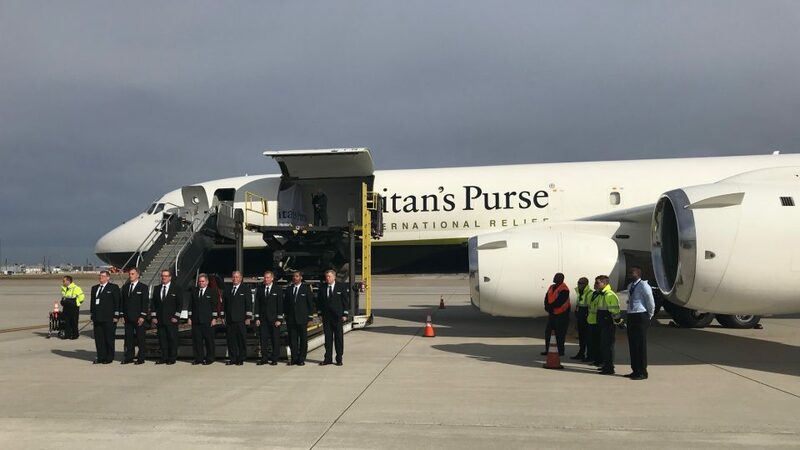 Wednesday, Franklin Graham watched as his father's casket was placed on a Samaritan's Purse plane for a trip to Washington, D.C., to lie in honor. Earlier in the week, Billy Graham lay in repose at the Graham Family Homeplace on the grounds of the Billy Graham Library. 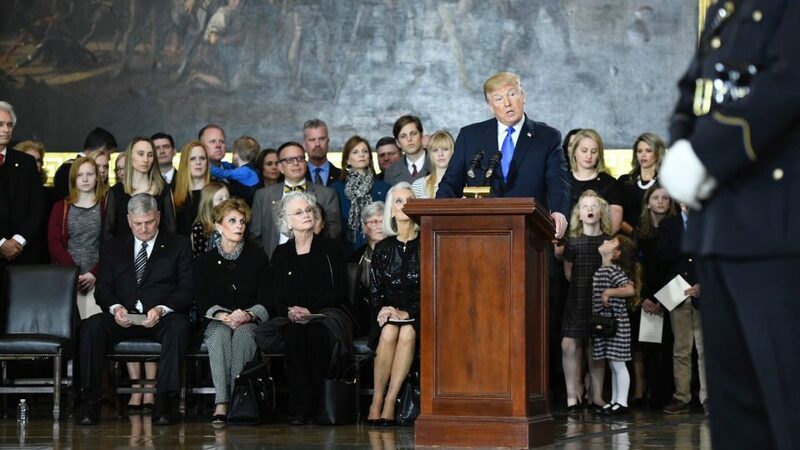 "Today in the center of this great chamber lies Billy Graham—an ambassador for Christ who reminded the world of the power and the gift of God's grace," President Donald Trump said at today's service. 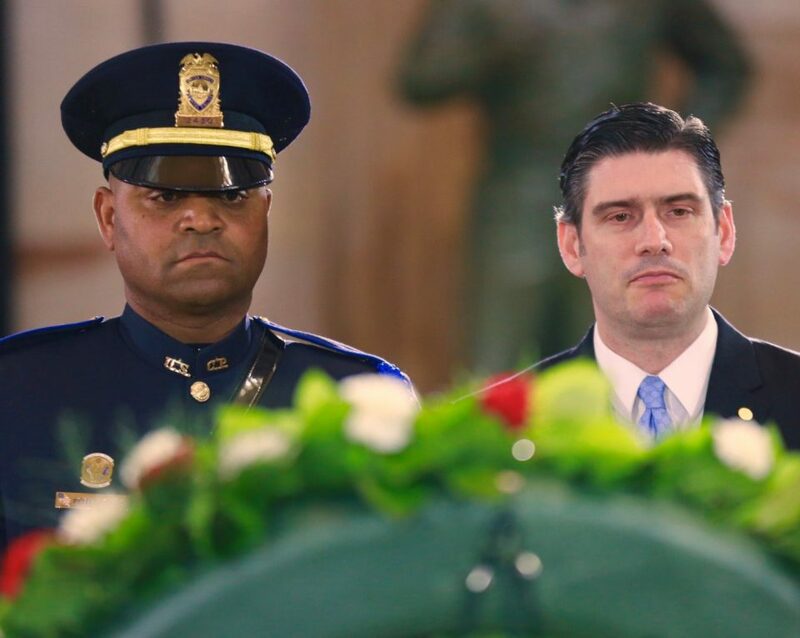 Will Graham, one of Billy Graham's grandsons, looks upon his grandfather's casket as he stands beside a member of the military honor guard. Mr. Graham was as an advisor to 12 consecutive U.S. presidents, including both Democrat and Republican parties. He was offered a high political position several times, but always declined politely. He refused because he knew God had given him a higher calling as a minister to share the Good News of Jesus Christ. 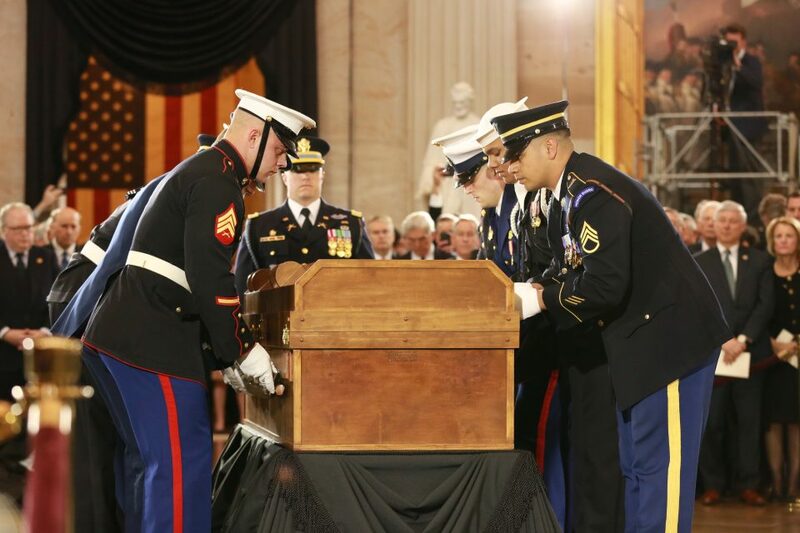 Those who visited the Capitol Rotunda to honor Mr. Graham saw a simple pine plywood casket made by inmates at the Louisiana State Penitentiary at Angola, Louisiana. The casket has a wooden cross nailed on top. 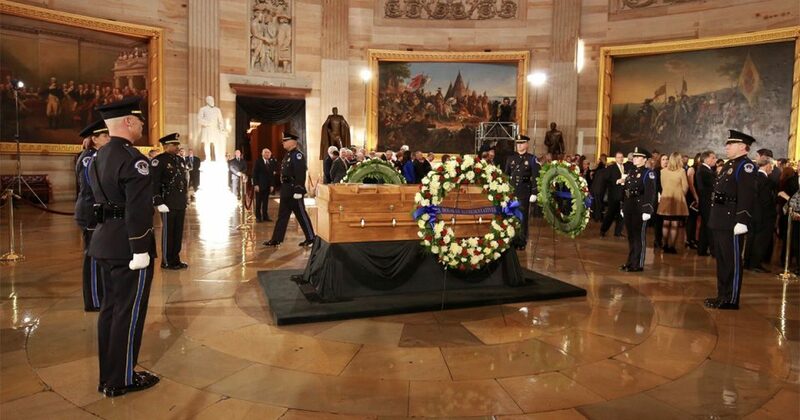 Armed services members carefully place Mr. Graham's casket on a wooden platform in the Rotunda. 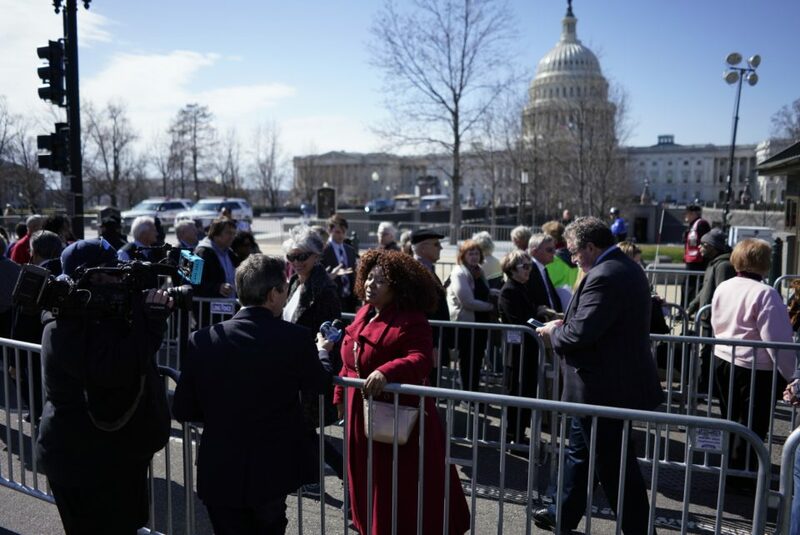 The Capitol Rotunda was open to the public on Wednesday. 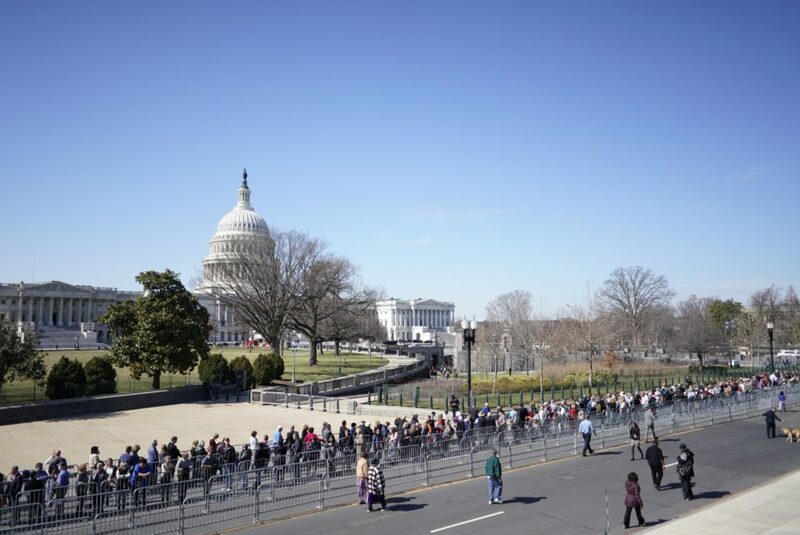 The lying in honor period will end at 10 a.m. on Thursday, March 1. 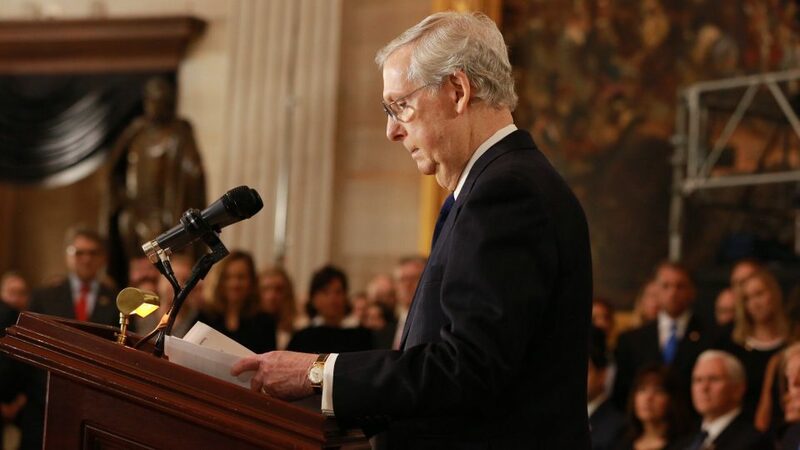 "[Billy Graham] was just a happy instrument in the hands of his Creator," said U.S. Senate Majority Leader Mitch McConnell. 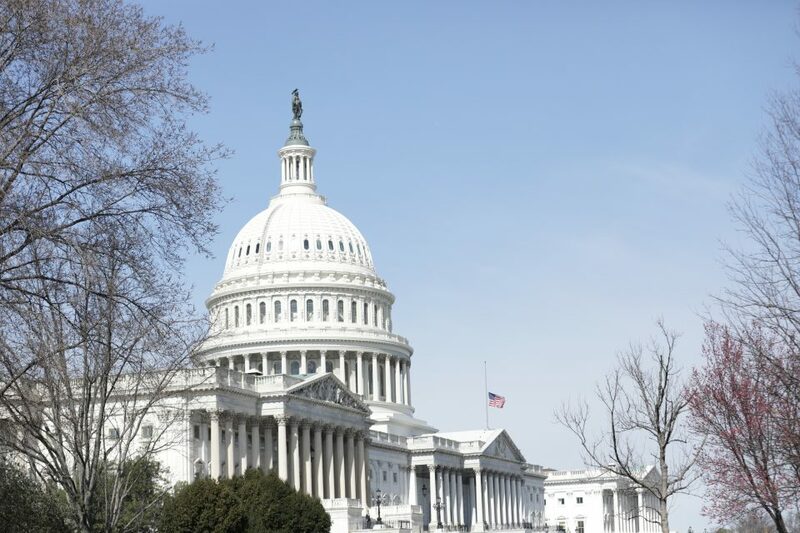 House Speaker Paul Ryan and Senate Majority Leader Mitch McConnell sent a letter to Billy Graham’s oldest son, Franklin Graham, formally asking for his approval of this rare honor. “Congress joins the American people in expressing our sincerest condolences to you on the passing of the Rev. Billy Graham,” they wrote. Share your condolences on Billy Graham's memorial page. 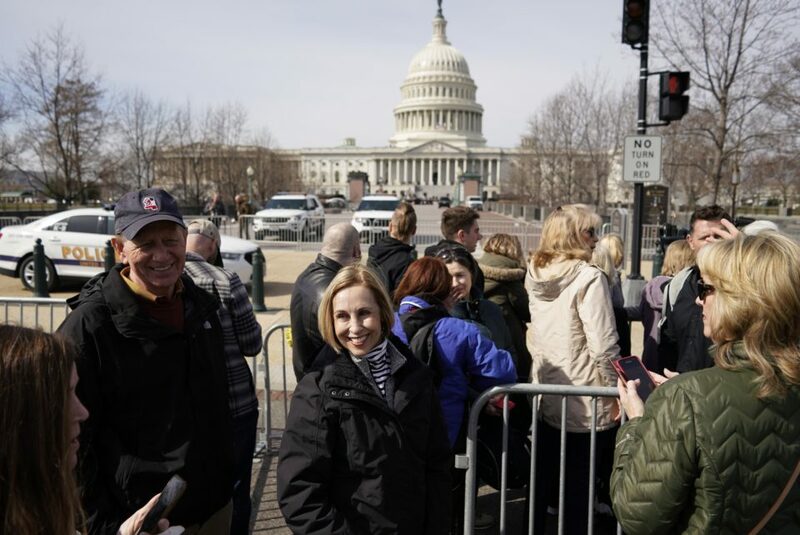 A massive crowd waited in line to pay their respects to Mr. Graham and be a part of the historic event. 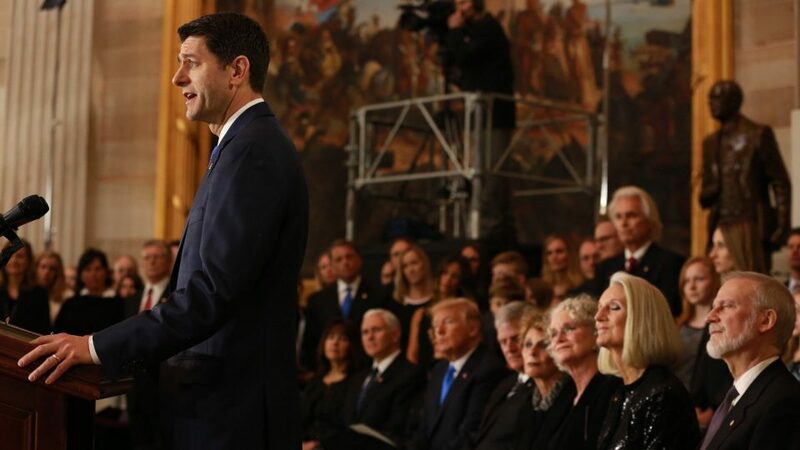 Speaker of the House Paul Ryan said, "We give thanks to God for the life and the works of this humble servant, now and forever." 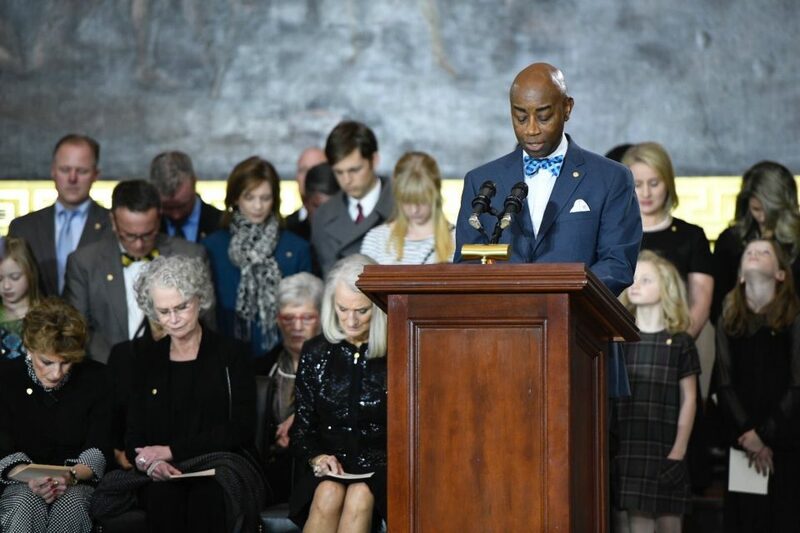 The 62nd chaplain of the U.S. Senate, Chaplain Barry Black, shared a prayer during the benediction. "It is my firm belief that no one can be President without a belief in God, without understanding the power of prayer, without faith. And Billy Graham helped me understand that," George Bush once said. 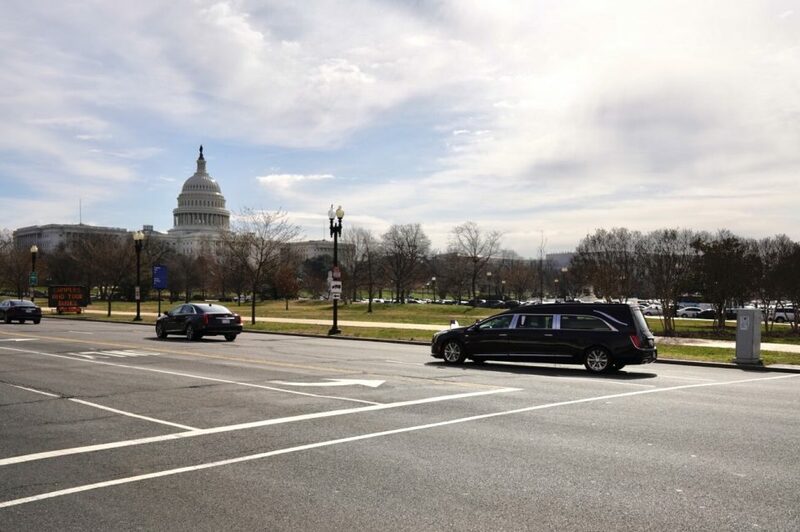 President Donald Trump plans to attend Billy Graham's funeral on Friday in Charlotte, North Carolina. The private service can be watched through a live stream. 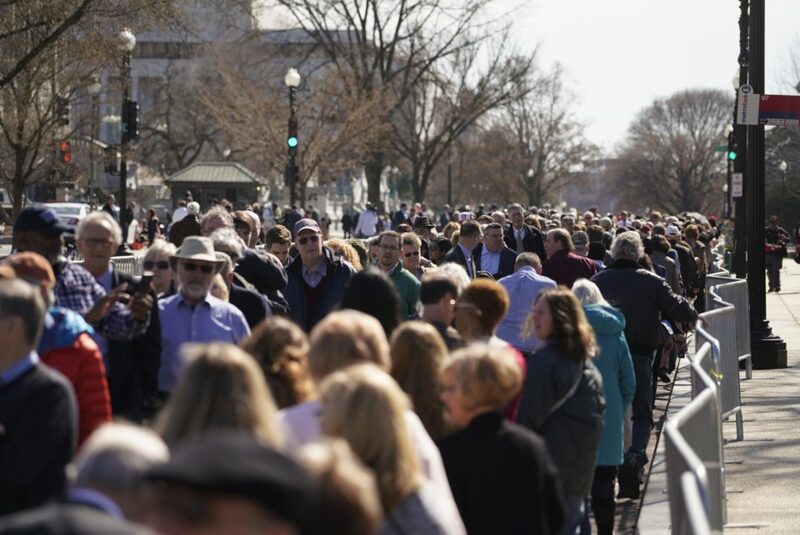 Millions have heard the Gospel through the "Pastor to the Presidents." Harry Truman, who served from 1945 to 1953, was the first president to meet with Mr. Graham. 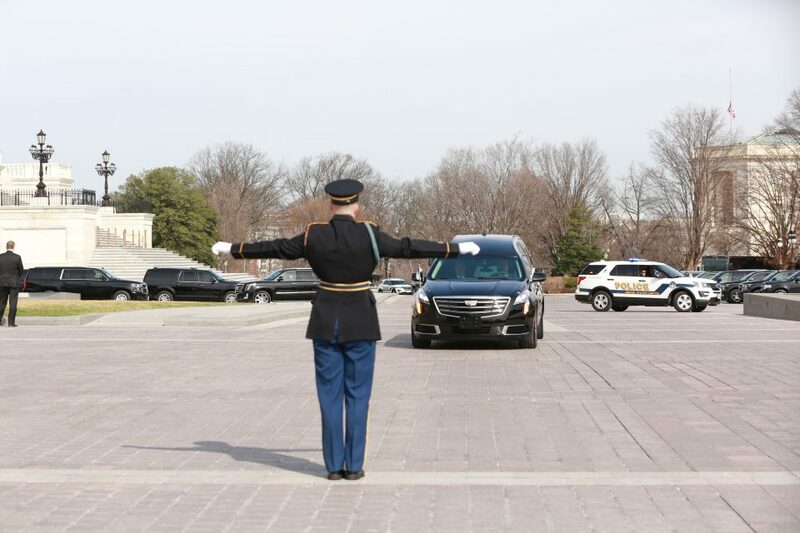 The tradition of lying in honor (in the case of private citizens) and lying in state (for members of the government) dates back to 1852. 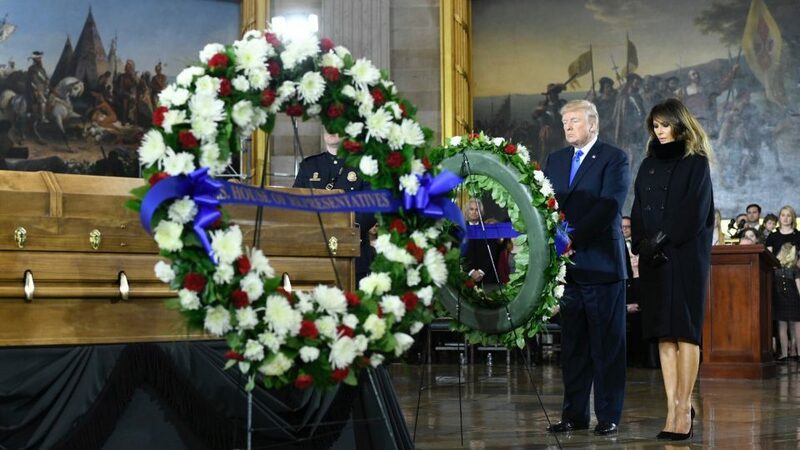 Since then, only 31 individuals, including 11 U.S. presidents, have been chosen to be honored in such a way. 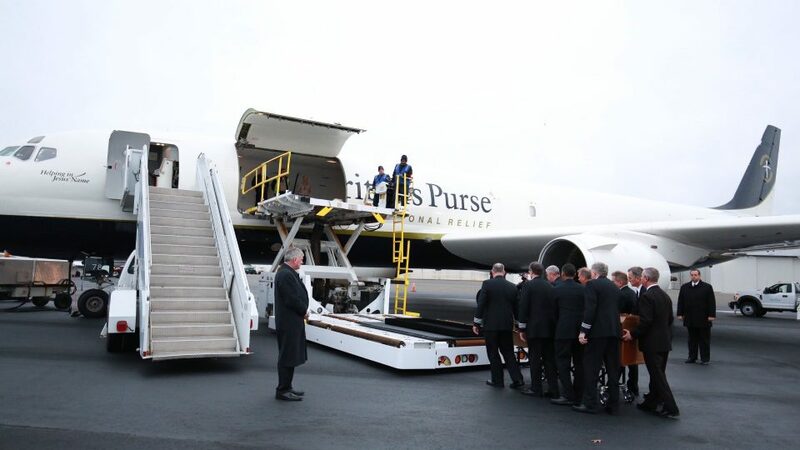 Awaiting the arrival of Mr. Graham's casket in Charlotte, North Carolina, on Wednesday morning.